Protip: If you ever get up at 6am to greet the dawn while writing a blog post, start your morning with Ramsey Lewis’ glorious (if ungrammatical) “Les Fleur.” Lewis’ tinkling piano enters as if excited for the day’s possibility, and the big chorus comes on as bold as the sun blazing over the horizon. Years ago my Chicago-born friend Mark Kadlec turned me onto this song, having used it in a student film, and he’s far from its only fan. Ramsey’s dreamy, dramatic cut was quickly covered by Minnie Riperton and a few decades later by British electronica ensemble 4 Hero; Ramsey’s original was sampled by beloved hip hop duo Gang Starr. To my mind Lewis is greatly underrated, probably because he makes it look too easy. Lewis’ performances seem so joyous and effortless that they hardly sound like work, and we seem to revere the artists that suffer greatly and die young. 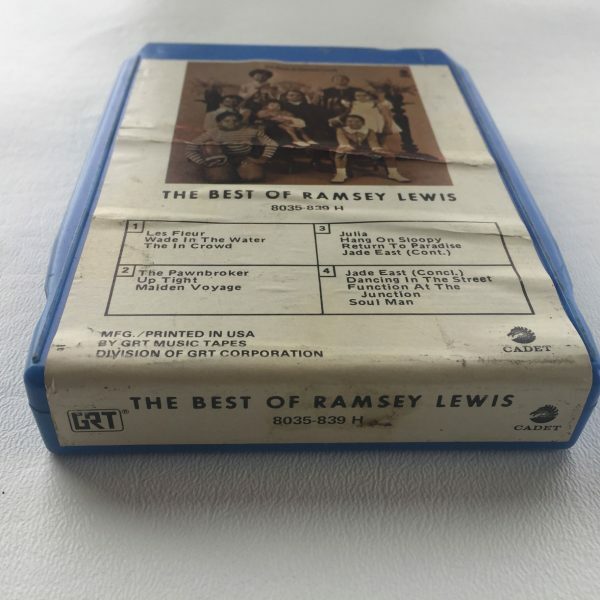 The apparently un-tortured Lewis kept releasing music for decades after this fine 8-track, including a smash hit album in 1974. The LP Sun Goddess was a collaboration between Lewis, Charles Stepney, and Lewis’ 60s drummer, a guy named Maurice White who had just founded a little group called Earth, Wind & Fire. 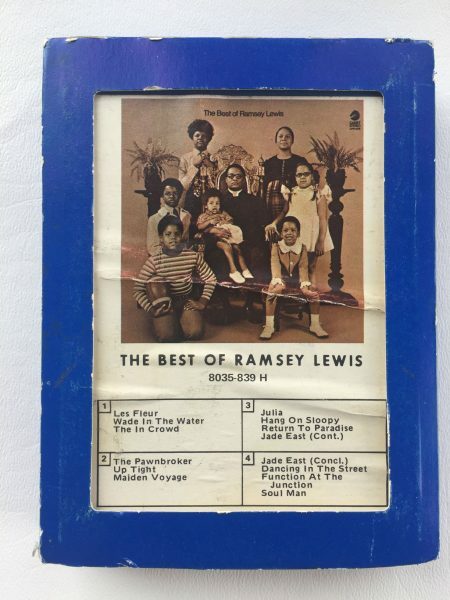 I’m happy to report that at this writing Lewis is alive at 82; Wikipedia assures us that he “still lives in Chicago, the city of his musical roots, with “seven children, fourteen grandchildren, and one great-grandchild.” His immediate offspring are apparently shown on the cover of this sweet-sounding 8-track, which nicely interpolates the mood pieces and party jams. So let’s toast family-man Ramsey by pouring some coffee, putting on “Les Fleur,” and grooving to some effortless genius. Interesting to hear Julia.Yesterday I met a young woman named Julia and I asked her if she liked the song Julia. She was totally unaware,even when I told her it was by an English band called The Beatles. This always blows my mind when it happens. Are we the last keepers o’ the flame? I’ve had similar experiences but I definitely don’t think we’re the last. The popularity and “hotness” of artists will fade over time. Even a band as seemingly untouchable as The Beatles. But the best (like The Beatles) will always be around and listened to by a significant number of folks. Heck, we’re still listening to Beethoven!